Laura Mullen, Murmur, Futurepoem Books, 2007. «You know how when Belle and Sebastian sing that Bible Study and S/M aren’t everybody’s cup of tea, and you’re all like, “oh come on, S/M and the Bible totally go together.” Well, Laura Mullen might complain that Murder Mysteries and Language Poems aren’t everbody’s cup of tea. The speaking voice in this book is never stable for long. As soon as you’ve settled into the voice of the mother, the murderer, the corpse, the daughter, the detective, it’s time to move on. Every prose/poem stanza/paragraph ends in fragmentation. “The report should include the actual bottle or broom handle, he muses, not just a list of items forced” for instance. The voices of the book keep dropping off a cliff, disappearing just as you get used to them. It’s not quite a collage or a quilt, but the overall effect is remarkable. A disorientation you get used to, like being inebriated. For a while my husband has been watching endless cop shows about sexual predators with incredibly convoluted desires. As the cops track down the pervy perps, they keen a chorus of “What kind of a sicko thinks of these creepy scenarios?” “What kind of a sicko wants to see this kind of thing?” Hey guys, it’s the writers and the audience. Laura Mullen knows this better than I do. She wrote a whole book about it. I want to hear more about the mother and the daughter. The mother hates her life, and the daughter hates her life and her mother for making her live that life. The mother escapes into Murder Mysteries, but then we’re inside the Murder Mystery, and then the mom is gone. Get it? It’s better than identification. It’s being. Our attention shifts to her attention. It’s brilliant. “In early anatomy illustrations the dead often reach down and part their own flesh, exposing secrets they seem no longer impressed by or still can’t face.” The mother wants the daughter to accept the tedium of the domesticity of womanhood, even as she teaches her to escape into the exciting extremity of the Murder Mystery. “He put the bodies in an acid bath. How did the night pass? We must have had homework.” The daughter (young Laura Mullen?) may or may not be writing the book, but she is certainly speaking the book. Or she is holding the book together. All of these quotes were in a footnote. The book is long for a book of poetry, short for a murder mystery. In “Narration: Lecture 2,” Gertrude Stein asks “Is that prose or poetry and why.” Laura Mullen answers, “both.” The first sections of the book feel more like prose poetry—and when she gets to the conventional poetry (left justified, line breaks, etc), it gets really gross. “When she laughs / A bright bib of blood gleams wet / Down the front of her black dress.” The conventional poetry section is entitled, “Killer Confesses to Unspeakable Acts” and the murdered wife is alive/dead/imagined/decayed/abused/loved. The section comes with an epigraph from Gertrude Stein: “There’s no such thing as being good to your wife.” Is Stein including herself as having a wife, or excluding herself from heterosexuality? Mullen raises a similar question. If the killer is generated by her imagination, or for her imagination, then is she killing or being killed for? « Do not think of revenge, or anything of the sort, at present. I think that we may gain that by means of the law; but we have our web to weave, while theirs is already woven. The first consideration is to remove the pressing danger which threatens you. The second is to clear up the mystery, and to punish the guilty parties. - Sherlock Holmes, “The Five Orange Pips” (Sir Arthur Conan Doyle, 1891). I remember watching the trailers for Pulp Fiction and thinking, oh, this looks like it might be interesting—some sort of crime movie with Bruce Willis and John Travolta? That could be fun, and I suppose I liked Reservoir Dogs a lot and then you watch the movie and everyone’s favorite ex-video store clerk warps and tangles time and narrative and Uma Thurman’s all bleeding out the nose and then suddenly we all like not only surf music but also the Statler Bros. I mean, what the hell, you know? 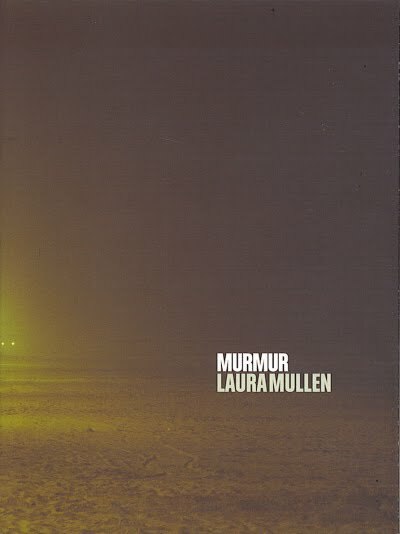 Writing about Laura Mullen’s latest book, Murmur, is like those perilously, almost laughably one-dimensional trailers for Pulp Fiction: or like trying to explain to your uncle why people time traveling aren’t supposed to talk to the younger versions of themselves or kill Hitler or stuff like that, or how you felt that one time you were sixteen and your car skidded off the road when you were changing the station and you thought you were going to wreck (for the first time). No matter how much you feel it in your guts, language fails. So then, Murmur is a detective novel, a murder mystery, inasmuch as there are cut-up bodies and suspects; and it is poetry, because the words play with each other but they don’t have to act all stuffy like a Times op-ed. After that all bets are off. By far the greatest treasure is Ms. Mullen’s constant and effortless reinvention of familiar phrases and words. This delicate jostling of language suffuses the book: it wants you to read it sideways, just like a detective novel, looking for clues through the words on the page. That’s the constant lament in our fiction and our lives: “if I could just go back one more minute, I could stop him from pulling that gun/I could stop her from reading that letter/I could stop myself from picking up the phone/I could” &tc., &tc. That is real murder, American suburban murder, more real than any Black Dahlia and played out in fifty times a day in one million 3BR/2BAs from Baton Rouge to Baltimore. That’s the funniest and most dead-on jazz written about the way we Southerners are used as props in fiction and movies that I’ve ever read. It is, as we said growing up in Alabama, so awesome. «...Whereas Lerner composes his bafflement, Laura Mullen abandons all such effort in her fifth genre-swapping collection, Murmur. "Approach in the admission that you have no idea where or how to start," she offers. This advice could be from author to reader, author to self, detective to corpse, corpse to detective, and so on. Get it? Murmur is a crime story with no beginning and no end. But is it readable? One reads murder mysteries both as an escape and to discover who perpetrated the crime—the satisfaction of closure. Murmur thwarts each of these desires. 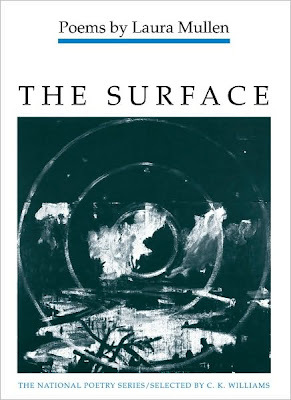 It's easy to dismiss Mullen's walls of words—the flip-flop between poetry and prose, the wordplay, the asides and lists—as one more inscrutable postmodern interrogation, but the way in which the murder, discovery of the body, evidence, and ongoing investigation recur and continually alter the narrative creates a psychosocial monster story: "She looked up from the book she was reading: corpses littered every page." "The reader’s intelligence has always been central to the genre of the detective novel. Whether the author follows the convention of keeping the reader’s knowledge equal to the detective’s at any given time, or whether the author breaks that convention, the reader is constantly being courted, thwarted, and led astray. 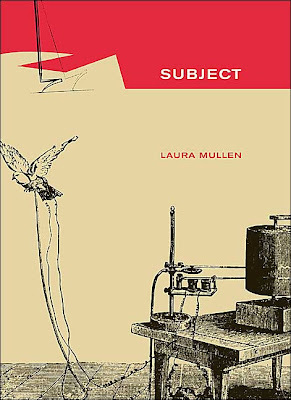 Laura Mullen’s book Murmur takes the detective novel as its subject, weaving poetry around the genre’s typical characters, evidence, and moments of revelation. Everything is here: the discovery of a corpse, the interrogations, the hard-boiled narrator, the evidence labeled and categorized. But by reordering and interrupting these stereotypical moments, Murmur moves against the grain of the genre’s inexorable logic, working with the reader’s ability to make sense of the text in a playful and surprising way. Even as it unravels the genre of the detective story, Murmur’s own genre remains ambiguous. The book is divided into fourteen sections that contain mostly prose poem blocks interspersed with the odd short line. At times, Murmur relies too heavily on the ruptured line as a device to move the text forward, and the cadence of an interrupted sentence becomes a too-expected rhythm. 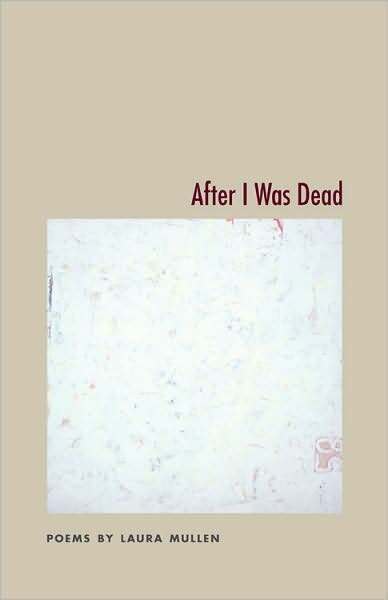 Nevertheless, I found this book compulsively readable, perhaps partly because it seems to work as a book-length poem with recurring images among sections—a body on the beach, say, which may or may not be the cover image of a mystery titled The Body on the Beach. «Murmur is a complicated text to categorize, consciously evoking multiple genres. The text seems to simultaneously be fiction, poetry and memoir, while it also functions as a detective novel, literary prose, and a meditation on language. Would you explain how these multiple angles cohere into your vision? - The book started as a playing with the genre of the murder mystery, but it was always also ‘about’ a whole bunch of things that start with the letter “m”: the medium itself and memory, marriage, murder, etc.. I called it M for a long time. But in Michel Foucault’s essay “What is an Author?” (at least in the translation) he discusses intertextuality as a “murmur.” Hearing how that word holds “murder,” “mother,” and “memoir” helped clarify the project. I’m not sure it’s helpful to categorize the book, though watching how it gets categorized is very revealing. Tell me a bit more about the elements of memoir. - “Forensics” is memoir, and a lot of this book is about me trying to deal with my mother’s depression: her desire seemed dead, and her happiness, her sense of possibility. I wanted to know why she had faded and whose fault it was. Frankly... I worried I had killed her: I always was afraid that she maybe could have been an artist (she wanted to be an artist) but that having children had deferred that dream. You’ve said that this book is part of a trilogy, beginning with the Gothic, The Tales of Horror. Murmur is the murder mystery. Finally, the trilogy will be completed with a romance. - Yes - all three come out of the books that I read with my mother. The books mostly written (and read) by what Nathaniel Hawthorne called “the damned scribbling women.” I’m interested in the relationship between genre and gender, and the fact that we are drawn, again, and again, to the same stories. Why do women want to read about women being murdered? Complementing the multiplicity of genres, there is a multiplicity of voices... no (at least in my mind) singular protagonist or villain. Can you discuss some of the voices? - I deliberately undid the crucial fact about this genre: it is immensely satisfying to know who done it. I removed the singular, individual guilt. Our problems occur within the context not just of a family, but a society/a culture/a moment. In Murmur the people who are trying to solve the case (maybe even the victim) are among the guilty. And the criminal may be trying to be caught. The collage technique enacts this diffusion of responsibility. Misogyny is evident in a lot of “boys’ club” type scenes in the book: the legal system, the crime scene turned locker room. Not all of the men are misogynistic, but they do all seem to exist in this universe of misogyny. - I’m a feminist because I’m a humanist. I want to open the possibilities for men as well as for women. The man on whom I based the character of the detective was someone I loved very much, someone who had real difficulties negotiating with his own creativity. I wrote and rewrote trying to understand not only a woman’s situation, but a man’s. The ways we try to know the world decide what world we come to know. I wanted to find more ways—for myself, and others. “Demonstrating Bodies” considers the fragility of human memory, the limits of language, and the false authority of the artist. We are left to wonder if there was ever a body on the beach or only a body on the cover of a book being read on the beach. Ultimately, it raises the question of what is real. Does it need to be tangible to be real? Do we need evidence? Witnesses? Can you expand on the concept of reality, especially as we process it in our minds, through our language, and in art? - This section cites the 1927 Brancusi Trial, which put the definition of art (abstract art) on trial in the United States. It’s an extraordinary case. I think what we’re coming to understand is that there is a complicated relationship between our fictions (and of course that is what our definitions are: fictions) and our realities. There are some basic physical realities, but even those are constructed imaginatively in the way we represent them to each other: our decisions about what we will allow into the field of representation and how we will categorize it, determine what’s possible for those who come after us. With the “Killer Confesses” section of poems, there’s this fundamental disconnect. I don’t get a sense of the woman: did the speaker even know she existed, except as the unequal half of the power dynamic? - It’s another way of killing someone. You can kill them literally; you can also kill someone by treating someone like a cliché. Because she’s so restricted by his idea of her. But then, in one poem--in a dream (an alternate way of knowing)--she tells him he can’t proceed this way and she reaches out and bloodies his shirt. She becomes the writer at this moment. She reaches out and makes a mark--but it’s only temporary. I’m going to get a little personal with this next question. About halfway through the book, I felt like the text told me what it was all about. Not just what the book was all about, but you know what it is all about – life, language, relationships, the journey. I’m going read you this brief section and ask you to comment. Isn’t this the human modus operandi: always trying to figure out what happened before we got there, so we can figure out where we fit, where we go next? Laura Mullen, After I Was Dead, University of Georgia Press, 2008. Laura Mullen, Subject, University of California Press, 2005. 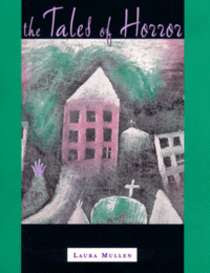 Laura Mullen, The Tales of Horror, Kelsey St Press, 1999. Laura Mullen, The Surface, University of Illinois Press, 1991.